This is an Indian snack, which is one of the very popular snacks. It is made from Palak/Spinach and Gram flour. I am using some spices to enhance the taste of the dish. Spinach is a versatile vegetable that is popular worldwide. Nearly every cuisine features it. It is a shiny green leafy vegetable, which is believed to have originated in Asia. Spinach has got a strong and very pleasant flavour. 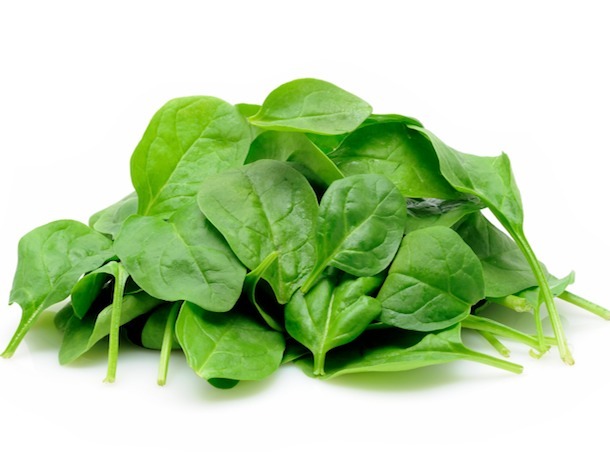 Spinach is rich in Vitamin A and is a good source of Vitamin C, Vitamin E, folic acid,Calcium and iron. Palak pakoda can be prepared instantly, it does not require much time for preparation as such. It is easy for bigginner as well, all you have to do is – you have to mix the ingredients in proper proportions as I mention here. Whenever you feel of having hot and spicy snacks, you can prepare this snack immediately without taking much time. It can be served as starter or as evening tea time snack. Even, in South Indian houses, this dish is served for lunch as side snack in festivals. Let’s see the preparation of hot and spicy palak pakoda. Wash and clean the Spinach leaves. Remove stem from leaves. Chop them into small pieces and keep them in a bowl. Wash and clean green chillies and make a fine paste with the help mixer. Or you can chop them with the help of a vegetable chopper and add it to chopped Spinach. Place a frying pan (kadhai) on medium flame. Pour oil into it and wait for 5 minutes or until it gets heated. By the time, you can prepare batter. Take a big bowl and pour gram flour, semolina (bombay rawa), cumin seeds, carom seeds (ajwain), hing, salt and cooking soda to it and mix them together. Take out one tea spoon hot oil from frying pan and pour it over flour and mix it well with the help of a spoon. Don’t mix it with hand, since oil is very hot, it may burn your hand. Add chopped Spinach with green chilly paste to it and mix it thoroughly so that Spinach leaves should mix with flour. Take one cup of water and add water to it slowly. While adding the water, you have to stir it slowly and continuously, so that batter will be prepared without lumps. It is better to mix the batter with hand. Consistency of the batter should be thick. Allow it to set until oil gets heated. If you feel batter is thin, you can add some more gram flour. If you feel batter is too thick, you can add some more water. If batter is little bit thin, it is fine, pakodas will come out very light and smooth. Take the batter in a spoon or in hands with the help of fingers and slowly drop it in oil in small quantities. Deep fry them until they get golden brown colour. You can fry 4-6 pakodas at a time. Take out pakodas from oil and put them on a tissue paper so that extra oil will be abosorbed by paper. Repeat the procedure for remaining stuff. You can serve it as snacks with evening tea or else you can serve it as side dish with any main course. Hot and spicy Palak pakodas are ready to serve. Try this once and you love to prepare this again and again. Enjoy cooking.